The guests of a wedding are usually clad in formal attires where they are restricted to move a lot. Factors like hot weather can also make them uncomfortable at times, especially if the wedding ceremony and the reception will be done outdoors. This scenario may be prevented by using wedding fan programs. 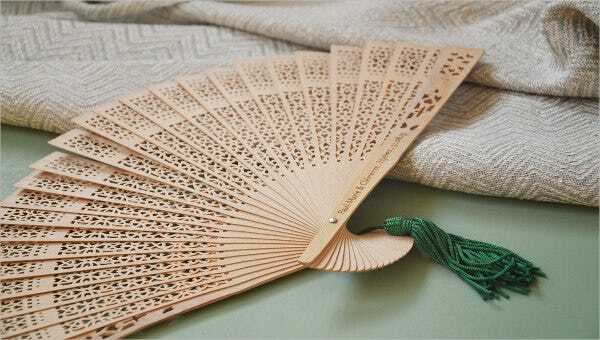 It is also very efficient to be used as an additional item for the wedding as it can be used as a program guide and as a fan to ease the heat in the event location. 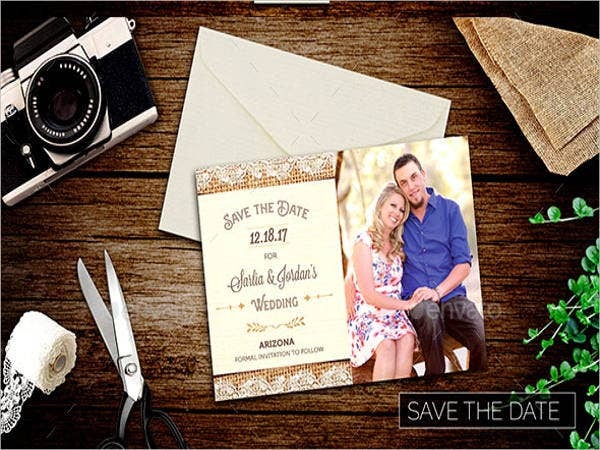 We can provide you with samples of our wedding fan program templates if you want to create one for your wedding or for the wedding that you will organize. 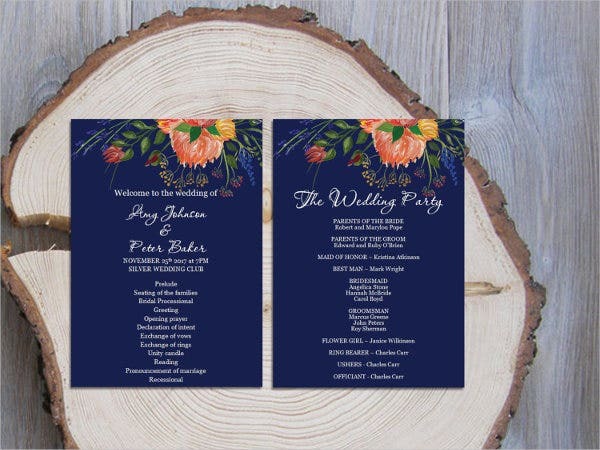 Other than that, we also have downloadable Wedding Program Templates usable in listing all the activities and programs that will occur in a wedding celebration. 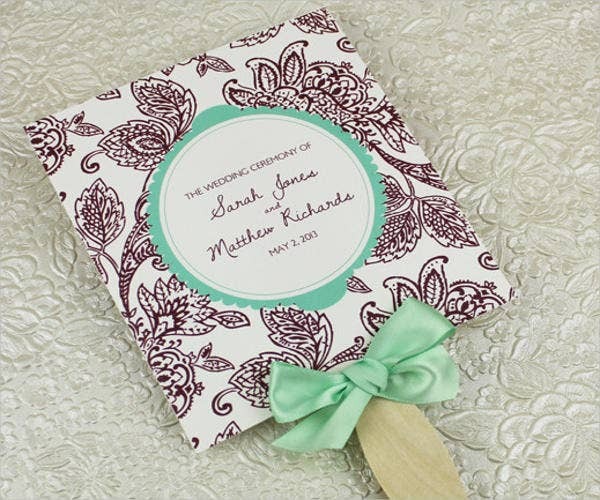 Use a thicker medium instead of just using a plain paper for the wedding fan program. Specialty boards are already a good choice, but you may ask your wedding supplier if they have better options. Incorporate the theme of the wedding in the wedding fan program for it to be cohesive with the other materials used in the wedding. 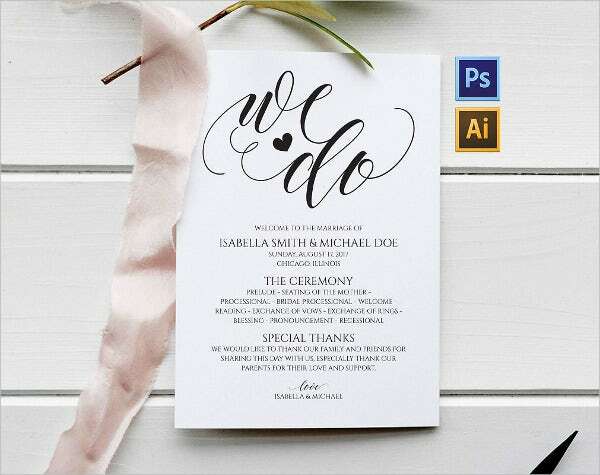 Make sure that you include all the items that are needed to be known by the guests regarding the program and that they are not blocked by the wedding fan program design. 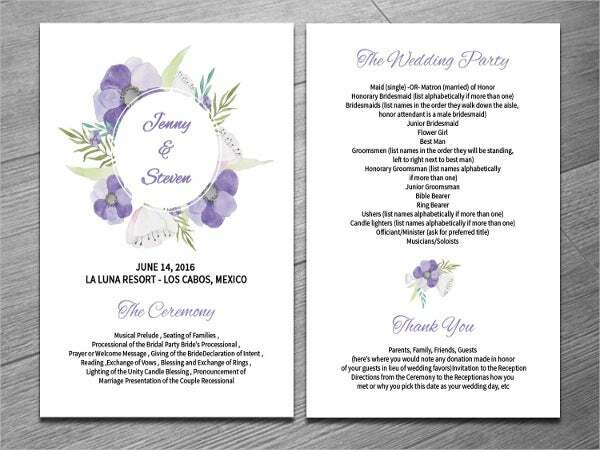 Other than our wedding fan program samples, you may also be interested to download our samples of Wedding Ceremony Program Templates. 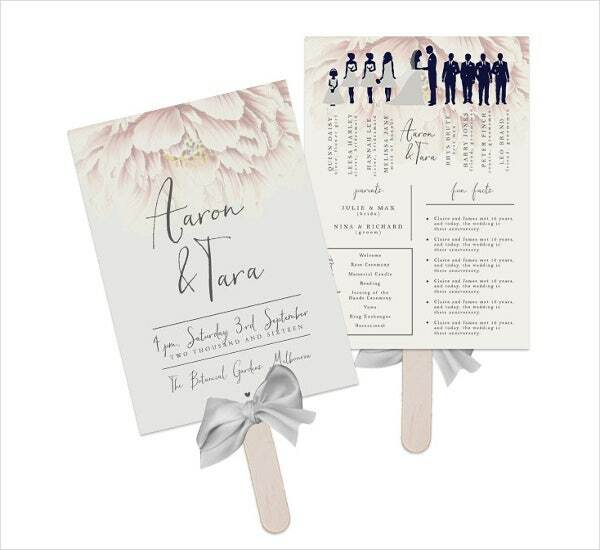 Should I Use a Wedding Fan Program? If you are getting married during summer, it is most probable that a wedding fan program will be very beneficial and necessary. The location of the wedding should be considered, especially if it will be done outdoors and it is possible for guests to be exposed to direct sunlight. Base your decision on the overall aesthetic of the wedding and the other materials that are already present and existing. 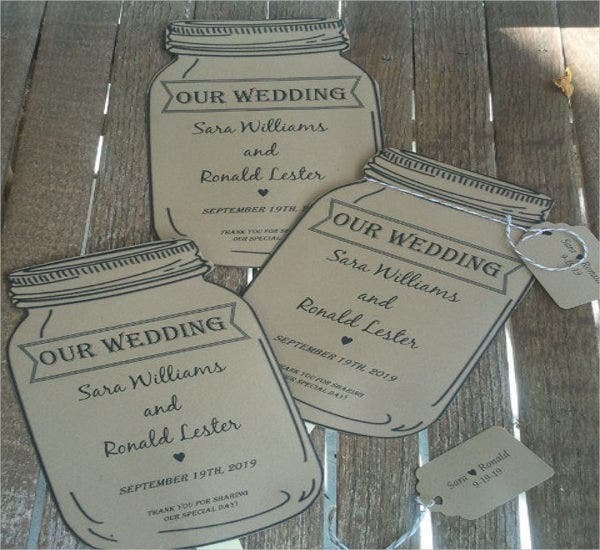 Your wedding fan program should be coherent with most of the items for it to be an efficient addition to the materials that you will give to your guests as souvenirs. 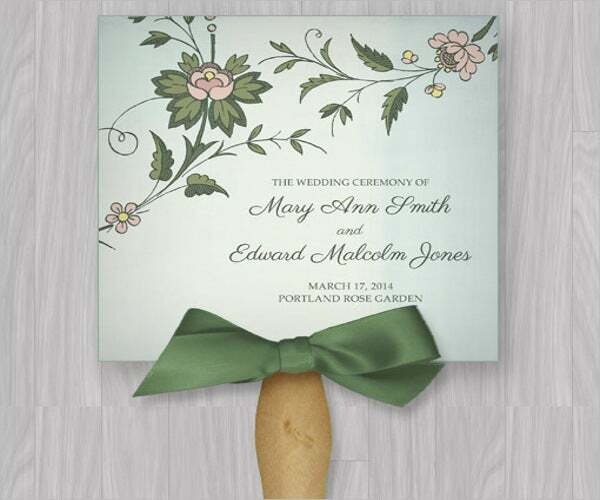 If the wedding theme is appropriate for the addition of a wedding fan program, then by all means use one. 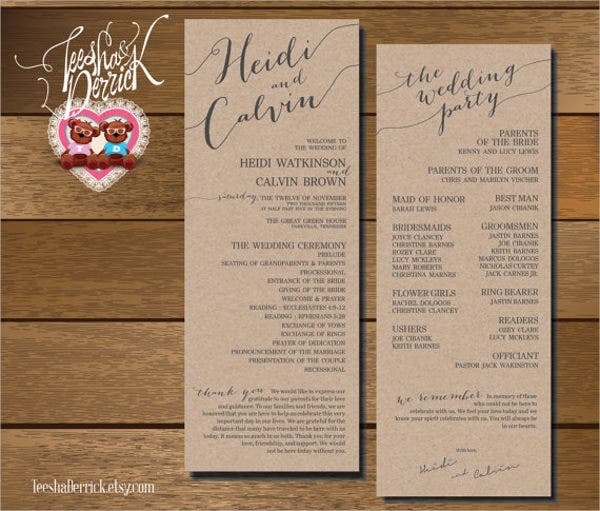 Aside from our wedding fan program samples and templates, our Wedding Timeline Templates are also available for download should you be needing guides in planning the activities that are needed to be done to assure that the wedding program will flow smoothly.